Tiger believes that the most important attribute of a lawyer is good communication: the ability to listen to the client, understand their expectations, counsel them honestly, keep them informed, and resolve their case with the best possible outcome. Over the last 27 years, Tiger has litigated close to 50 jury, bench and administrative trials. This experience provides him with not only the ability to try a matter to verdict or obtain a resolution prior to trial, but to advise his clients on the benefits and risks of each option. Tiger’s practice is centered around general casualty defense with an emphasis in automobile/trucking, construction defect, premises liability, employment law, contract disputes, maritime personal injury, professional liability, hospitality, entertainment and leisure, and environmental/toxic tort liability. He also serves as outside corporate counsel for various small businesses where his responsibilities include but are not limited to the drafting and review of Asset Purchase Agreements, Stock Purchases and Sales, Master Service Agreements, Time Charters, Bareboat Charter Agreements, Vessel Purchase Agreements, and Teaming Agreements. 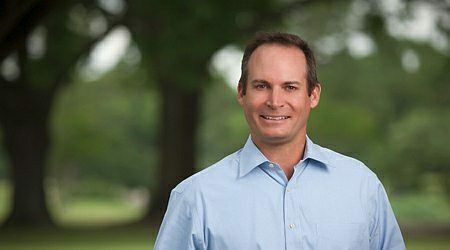 Tiger’s practice takes him across Louisiana and Texas, having practiced in Galloway’s Houston office for 10 years and managing the Firm’s Lafayette, Louisiana office since its opening in April 2001. For over 20 years he has maintained an AV rating with Martindale-Hubbell. An AV rating is a designation attained by only 2 percent of attorneys in the country and is attained through an indication of very high to preeminent legal ability, an exemplary reputation and a well-established practice. Tiger is a member of the Louisiana Bar Association, Texas Bar Association, Claims and Litigation Management Alliance (CLM), Federation of Defense and Corporate Counsel (FDCC), the Louisiana Association of Defense Counsel (LADC), Federal Bar Association, Maritime Law Association, and the Lafayette Parish Bar Association. He is licensed to practice in the States of Louisiana and Texas and all of the U.S. District Courts in Louisiana and Texas as well as the U.S. Fifth Circuit Court of Appeals. Tiger is an avid cross fitter and maintains a private pilot’s license with multi-engine and instrument ratings that allow him to access all cities in the Gulf Coast region in a cost efficient and timely manner. Tiger’s first love is his family. He is married to Allyson Fox Pharr and is the proud father of two beautiful daughters.